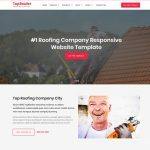 The real estate website template is for the agencies, broker, property agent, property developers, realtor and small business. Reality responsive HTML template included everything that to built create an elegant property site like buy, sell and rent property listing. 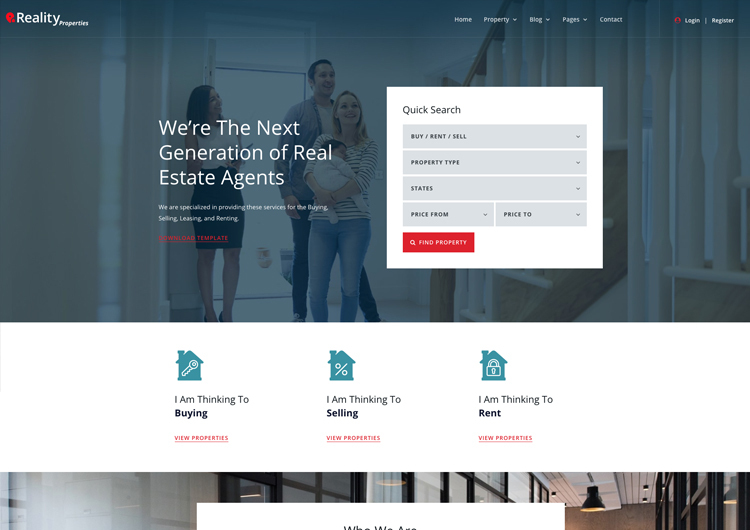 Reality is clean, modern, and professional real estate website template, Its ideal design for those who want to create a website for property site or portal to buy, sell and rent the property listing for their local area or city and country. Perfect for buy, sell and rent the property like apartments, flats, houses, villa and rental property service. 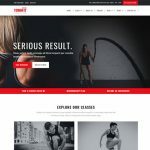 The template constructed on twitter bootstrap framework that means fully responsive and mobile friendly website design. Your website looks amazing. It will be able to adapt to any screen size or resolution. The template supported in all modern browsers. Developer very well coded HTML code for all browser compatibility. The template is super simple easy to customize. 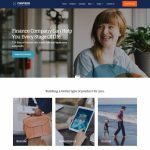 Simply customize the HTML and upload images to get your real estate company online today! Realty offers you to create a stunning homepage design with the transparent header and quick search form for your real estate website. The section design to present your buy, sell and rent service and about your profile description with text blurb. Also, you can showcase your latest property listing on the homepage with owl carousel. Property listing template is very stylish design to present your property in the thumbnail view. Property thumbnail presents your property title, amenities, and price, image hover zoom and label for rent and sell. In the template, including real estate agent list design with agent contact information and social media profile. Clean and simple login and sign up page HTML template. Reality HTML template will come with innovative pages like about us, testimonial, 404 error page, tabs, accordions, alerts, and contact us. You can also check our professional real estate HTML website template. Images: Images are in live is just for demo purpose. Not included in main zip file.